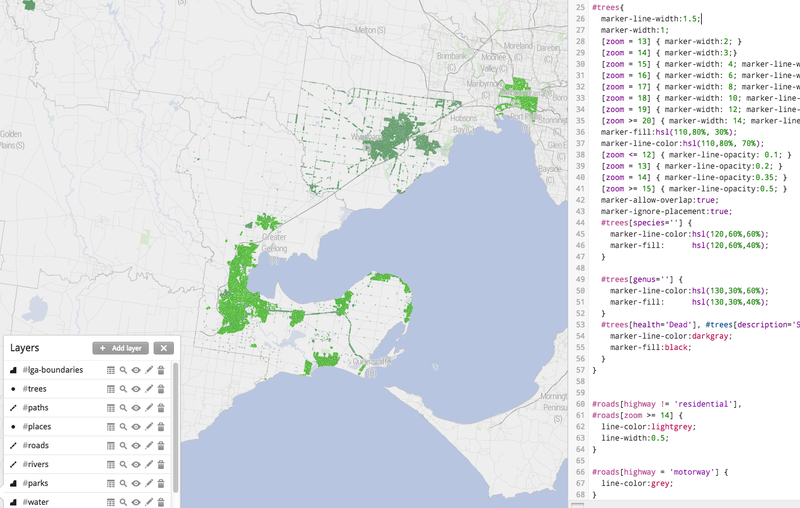 TileMill wants to know: what projection is this data? If you’re making maps, you will probably need to know something about cartographic projections. Here’s the minimum. The globe is round, maps are flat. Each of the hundreds of different methods for converting from round to flat is a projection. When you have a latitude and longitude, you have unprojected coordinates. Anything you can do with these doesn’t require choosing a projection. Most consumer web maps use the Web Mercator projection, also known as the Google Web Map de facto standard, EPSG:900913 (“google” written with numbers), EPSG:3857, etc. Government agencies, desktop apps and other stuff often use the WGS84 projection, also known as EPSG:4326. It is technically straightforward to convert from unprojected coordinates to any projection, or between projections, using GIS packages or command line tools like GDAL. It can be slow to do this on the fly. Each projection is defined using a Spatial Reference System. An SRS can also define systems of unprojected coordinates, and even other planets. SRID, an identifier including the identifier scheme, like “EPSG:3857”, “ESRI:102113” or “SR-ORG:7483”. Tell the tool what projection it’s in, if it can’t guess. You will have to pick from a list, or use one of the formats above, that it supports.